German tuner Manhart introduced their new tuning package for the BMW F13 M6. 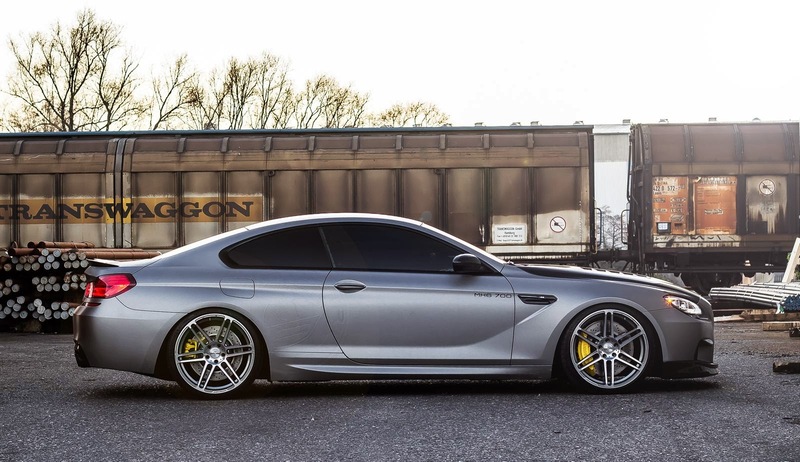 The package includes engine upgrades and a carbon fiber body kit. First up, the styling. The car received a new front splitter, a new vented hood, a new rear diffuser, a trunk lid spoiler and mirror caps, all made from carbon fiber. 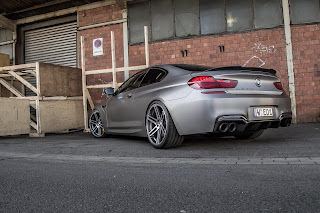 Now it rides on 21-inch Concave ONE Manhart alloy wheels. To improve the handling, a new bespoke KW suspension kit was installed. 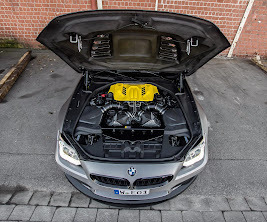 When it comes to performance upgrades, the 4.4-liter V8 originally producing 560 hp now offers 743 Hp and 953 Nm of torque thanks to a modified ECU software, a carbon air intake system, sports catalytic converters and a new exhaust system with four large 100mm pipes. The result is a car that can sprint from 0 to 100 Km/h in 3.8 seconds, 0 to 200 Km/h in 10.1 seconds with a top speed of 320 Km/h (200 mph). More pictures of the beast and press release after the jump. 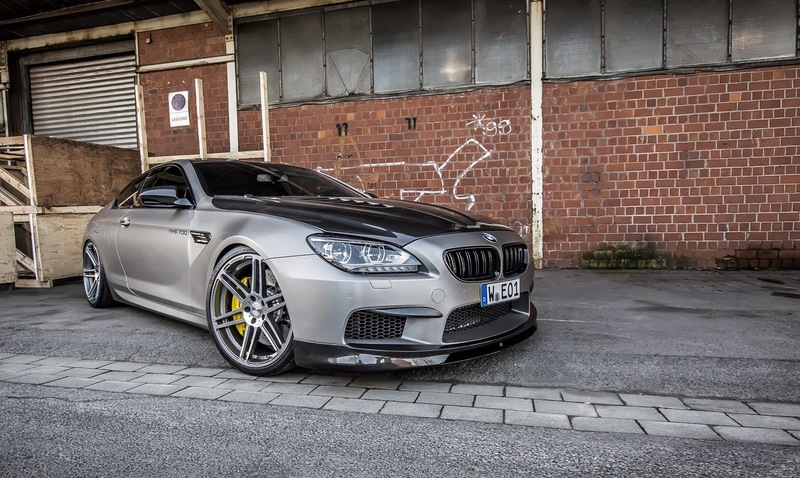 Manhart Performance’s by far fastest exhibit displayed at the 46th Essen Motor Show trade fair was the brand new “MH6 700”. The technicians and designers of Manhart Performance created an emotionally-charged and at the same time exclusive as well as dynamic power coupé on the basis of the BMW M6 (F13), which on its own is not known for “boredom” already in the standard production version! 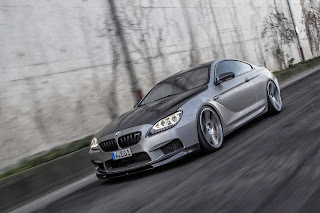 Manhart Performance tailored such an extensive carbon exterior package for the sportive bodywork of the product from Munich, comprising a front spoiler with optional “RS” front spoiler blade, an engine hood with GTR air inlets, a rear diffusor and a trunk lid spoiler. 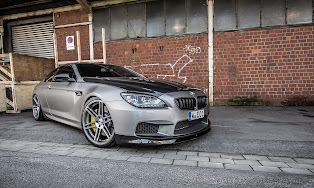 To achieve this, Manhart endowed the MH6 700 with a set of mirror caps and a set of covers for the front skirt made of carbon. 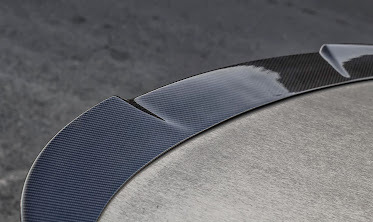 All attached parts made of carbon are obtainable optionally in semi-gloss or high-gloss, and the engine hood is painted partially or completely in the color of the car if required by the customer. Moreover, the exhibition vehicle was adorned with a technically-impressive full wrap in longitudinal cross-section aluminum metallic with incorporated (embossment look alike) Manhart Performance logos. The wheel arches of the MH6 700 house the company’s own Concave ONE wheels in the new cast version of these concave-formed rims. The light alloy rims are covered by Michelin Pilot Super Sport High-Performance tires of the dimensions 265/30ZR21 on the front and 305/25ZR21 on the rear axle. 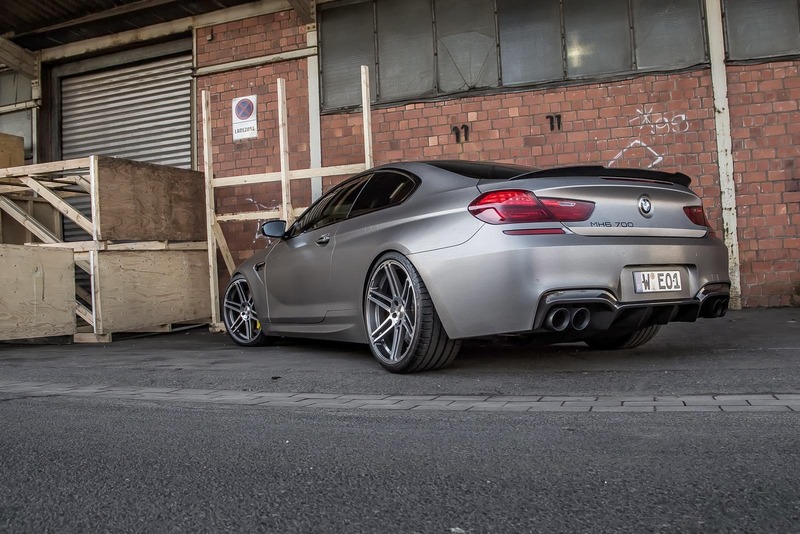 The compression and rebound-adjustable KW variation 3 coilover kit is supplied by Manhart Performance with the company’s own adaptation configuration. 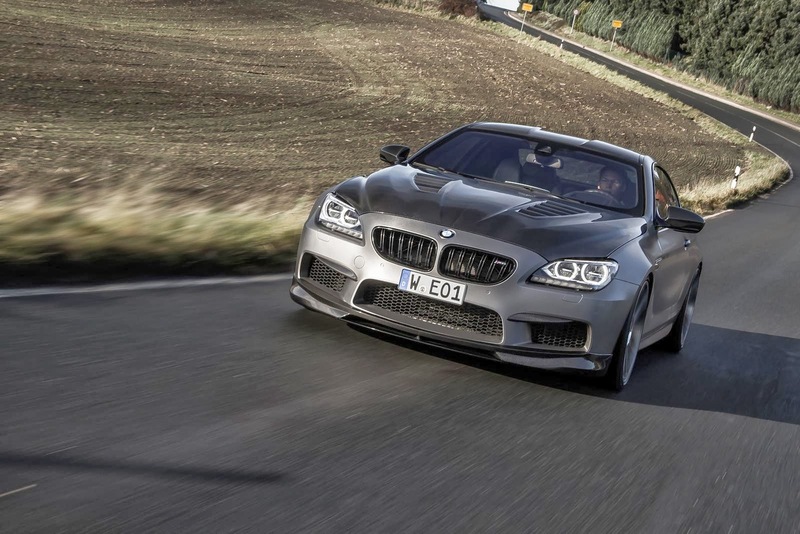 The company Manhart Performance would neither be true to its name nor its type designation if it failed to also have the drive of the MH6 700 reworked in a decisive manner. 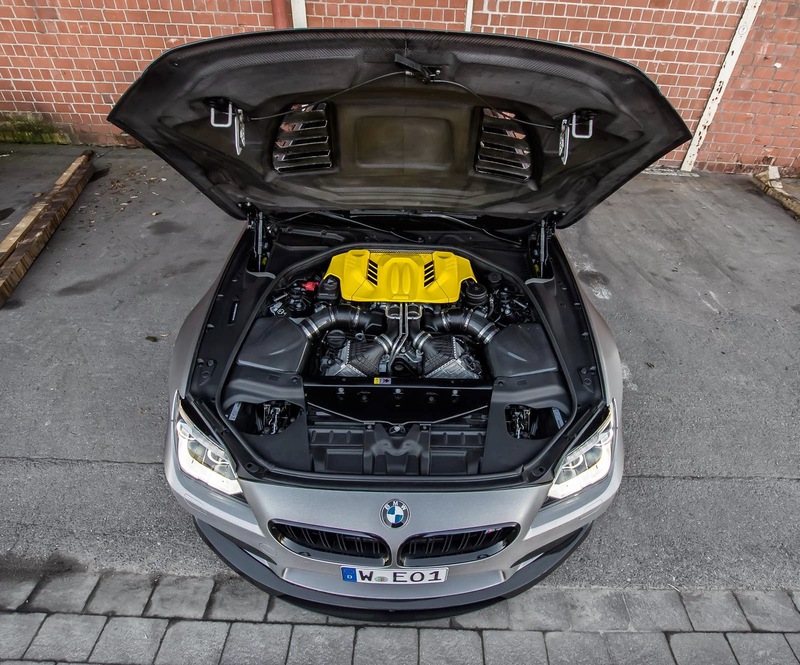 In this respect, the Wuppertal-based company helped the 4.4-liter V8 (type S63TÜ) with factory-fitted biturbo charger to its “Stage 4” performance kit, which, in addition to a special software for the DME control system, also contains a Carbon-Air-Intake-System and the company’s own exhaust system with downpipes, sports catalytic converters and sports rear silencers made of stainless steel with four 100-millimeter end-pipes. All in all, a total of 743 horse power and a maximum torque of 953 Newton meter is available to catapult the MH6 700 from virtually all circumstances in a powerful manner. Given the extremely high drive performance, the MH6 700 descends on the driven rear wheels like a raging fury right off the bat during sprints and in such a way that it is difficult to measure acceleration from 0 to 100 due to lack of traction. 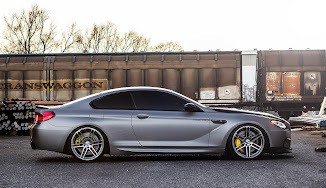 Yet Manhart Performance was able to measure a value of 3.8 seconds for standard sprint using a GPS-supported Racelogic measurement instrument. The MH6 700 unfurls its power in intermediate sprint in an even more meaningful manner: The bolide accelerates from 100 to 200 km/h in just 6.3 seconds and from 80 to 250 km/h in 12.4 seconds. 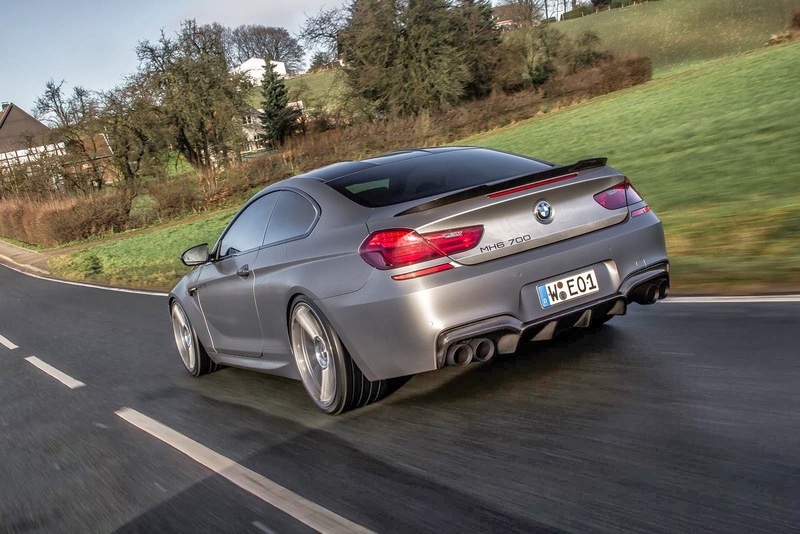 The propulsion subsides only shortly before the 320-km/h limit! All further facts as well as price and delivery information can be obtained from www.manhart-performance.de or directly from Manhart Performance Marketing Team.